Cooking with tea has never been more exciting! 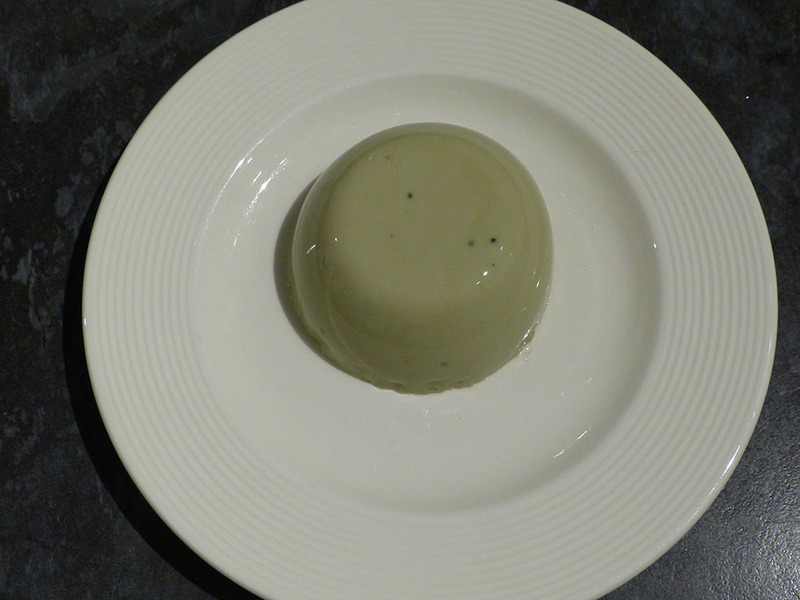 What a different dessert you will be serving with this green pannacotta! Or you can serve this dessert with Halloween! Mix the matcha powder with 2tbsp of the soya milk. Heat the rest of the soya milk with the soya cream and sugar, stir until the sugar is dissolved. Add the matcha milk and heat until the match powder is dissolved and you have a green milk. Add the gelatine to the cooled down milk, bring to a boil while stirring constantly. Pour into moulds and leave to set for around 1-2 hours. To get them out of the moulds, you can sit the moulds in hot water for 1-2 minutes and then turn onto plates.